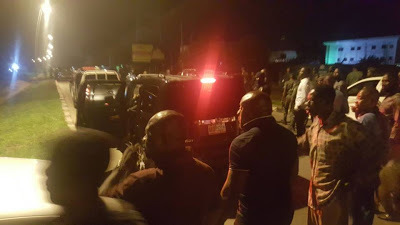 Early this morning, governor Nyesom Wike and his entourage mobilised to stop alleged attempt by men of the Department of State Security, DSS and the Police to abduct a Judge at his number 35/84 B residence, Forces Avenue, Port Harcourt. According to reports, the governor was allegedly manhandled by men of the DSS and the Police who came to whisk the judge away. Read the press statement which has been released to that effect. 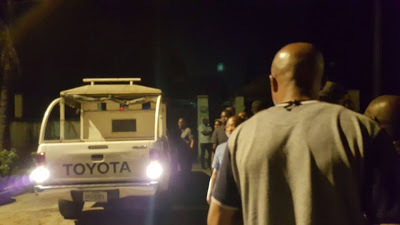 The illegal failed abduction was led by Mr Tosin Ajayi, Rivers State Director of the Department of State Services (DSS) and Rivers State Police Commissioner, Mr Francis Odesanya. 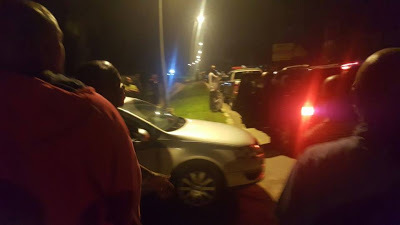 The operatives of DSS reportedly rough-handled Governor Wike, pushing him around and injuring his hand. A few of the operatives cocked their rifles and threatened to shoot the Governor. 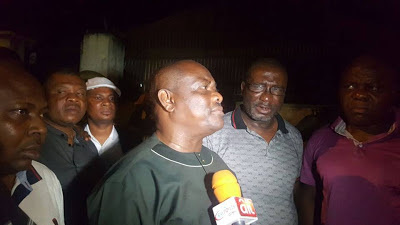 They were irked by Governor Wike's arrival at the scene shortly after the failed abduction process began. It was learnt that Governor Wike received security information on the illegal moves, minutes after the operation started. 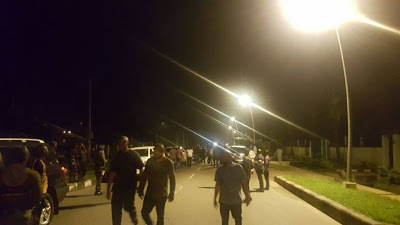 The security operatives blocked the entrance of the residence of the Federal High Court judge at about 1am on saturday morning, claiming that they were acting on orders from above. As they dragged Governor Wike, they insisted that they must be allowed to leave with the judge. However, the commotion attracted passers by and journalists who thronged the vicinity to know why hundreds of security agents in several Patrol vans had been mobilised. 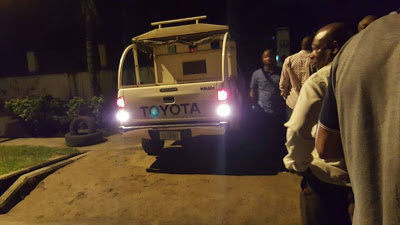 Upon the arrival of the national media, the Rivers State Director of the DSS, Mr Tosin Ajayi jumped into his vehicle and fled the scene.